Data Entry, as the name suggests, is the process of entering data into a computerized database or a spread sheet. Data Entry Specialists transfer / enter data held on manual records to computer files and ensure that important data is collated, processed and stored appropriately for business use. They are responsible for transferring both words and numerical data into spreadsheets or databases. Data entry operators are in charge of updating, maintaining and retrieving information which is held in a companies computerised information storage and retrieval systems. 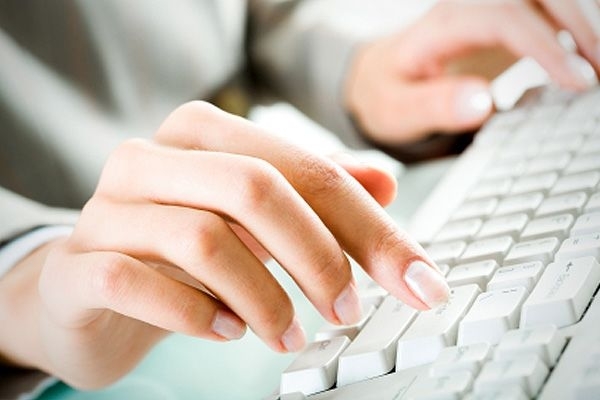 People involved in data entry may also handle letters, documents and mailing lists. Data entry professionals are known by various job titles such as Data Entry Operators, Typists, Data Entry Keyers and Information Processing Workers. A career in data entry is bound to be stable, well-paying, and quite progressive in nature, as the BPO sector in every progressive country is growing and progressing fast. Even though Data entry is not considered a sought after profession, it is becoming popular among students and homemakers. This is because it is a job that can be done as part time and one doesn't require much intelligence. As internet is filled with ample online jobs, data entry has turned into one of the most common work-from-home option. Some data entry jobs require knowledge of software programs such as Microsoft Office, while others require none at all. Since its inception, data entry has created ample employment opportunities among people from different walks of life. Most data entry work is done in an online setting involving the input of data into single or multiple databases or spreadsheet applications. There are various types of data such as numbers, addresses and names that are keyed in. A data entry operator should exhibit proficiency in typing, skill in 10-key and awareness of dynamic and advanced technological developments. Professionals belonging to any academic background can take up a career in Data Entry. Generally, data entry jobs does not require any specific educational requirements except for a high speed and accurate typing proficiency. But a high school qualification/ a pass in matriculation or plus two is recommended for better job positions, if seeking opportunities in reputed companies. Those with a bachelors degree have wider scope of obtaining employment in reputed organisations like commercial banks/ software development companies etc. Only a few institutes offer courses purely in data entry, and that too certificate and diploma courses namely Diploma in Data Entry Operator Course and Certificate in Data Entry Operator. The main objective of attending a course in data entry operating is to enhance your skills in computer fundamentals, MS-Office, Operating System, Concepts of Networking and Hardware, PageMaker, Introduction to LAN, Internet, Environment, and Typing. For applying to the All India Information Technology Association (AIITA ) approved Data Entry Course, one must have 10th or its equilalent. One can also join for courses like PGDCA, MS Office or other short term computer courses. Linguistics course would also be an added advantage for those interested in this career. Since it is an online job, basic computer skills is a must for data entry operators. The foremost and common prerequisite needed for a data entry operator is error free typing, keyboard speed and capacity to interpret data fast. They should also possess sufficient knowledge about Microsoft office applications like word/ excel/ power point etc. Data entry specialists must be good in spelling, punctuation and grammar. They should have good reading comprehension; verbal, written and communication skills and active listening skills. Apart from English, data entry jobs are available in various regional languages. So those who intend to work in their regional language, should have proper knowledge in the respective language. Other attributes needed for data entry operator is the ability to work independently and as part of a team, ability to focus on the same task for long periods of time so there is only minimal errors, ability to work under pressure to meet tight deadlines, and positive approach in a busy working environment. Data entry operators must be familiar with basic office equipment like scanners, copiers and printers. Both government and private sectors offer excellent employment opportunities in data entry service. Every organisation, from a big corporate office to little grocery shop are in need of data entry operators who along with entering, maintaining and retrieving data may have to handle daily official work like sending communication, drafting letters etc. Data entry operators may work in many fields, including banking, insurance, marketing, accounting, human resources, healthcare sector etc. Job openings are available in plenty for Data Entry operators in the fast growing and developing cities such as Hyderabad, Ahmedabad, Noida, Bangalore, Delhi, Mumbai, Cochin, Chennai, Gurgaon, Chandigarh, Pune etc. Cleave Global E-Services, SM Telesys, Transoffshore in Noida; Data Entry Outsourcing, Data Entry Services India, Unisoft, Prime Technologies in Ahmedabad; Intercom India, Aranis, Stylus Systems Pvt Ltd in Bangalore; Bhawani Infotech Private Limited, International Data Entry Services, Search Engine Optimization Services in New Delhi; Paven Technologies, Deccan Chronicle, Runaware Software Pvt Ltd, Polaris Software Labs, Saaki Search and Devine Software Technologies Pvt Ltd in Hyderabad are some among the companies that recruit data entry operators. In government organizations, data entry jobs are available only for those below 30- 35 years with a minimum of several years of work experience. DOEACC Society, Indian Council for Medical Research, Ministry of Science and Technology of Government of India, EdCIL Limited, International Institute for Population Science are a few among the government organizations that recruit data entry operators. The job openings will be published in Employment News and other relevant publications/ or in the websites of Public Service Commissioner (PSC). Working knowledge of software packages like MS word, MS Excel, power point etc. There are several online companies that hire data entry operators from home. Reliable jobs may be hard to find, especially if you are looking to work from home because there are so many scams. But there are also many legitimate companies who offer online data entry jobs. In order to find an online data entry job from home, search for various data entry job search board. To access the incredible number of job options from employers all around the world, you should have to become a member of these board. It helps you to bid on any job posted. Most job boards require a membership fee. With a bit of research and careful examination, you can find quite a few data entry job openings online. Remuneration in data entry field depends on ones experience, qualification and mainly the type of employer and job profile. Depending on the employers, freshers in this field can earn Rs.7000 to Rs.12000 as initial payment. The salary will increase with ones experience and knowledge of the subject matter. Online data entry companies paid their employee per project and the payments are made through checks, direct bank transfer/deposit or credit card. In most cases, payments are done once or twice a month for the previous month's completed jobs.